Soncha Iacono graduated from the Victorian College of the Arts in Dramatic Arts Production/Sound Design in 2003. Since then she has contributed sound designs to various theatre, dance and video productions in Melbourne, Sydney and Adelaide. She has also worked with Ru Atma and the Raw Collective theatre for ‘Spring Clean’ (2016), ‘Brain Fog’ (2015), ‘Broken Still’ (2004), ‘Stool Pigeon’ (2004), and ‘Broken’ (2003). Other sound designs include the Love to Dance Ballet school contemporary dance scores (2015, 2014, 2013, 2012) with Amba Hawley, the ‘Lexicon For A Storm’ (2012), with Michaela Pegum, and VCA productions (2004, 2003) with Sandra Parker, Alex Graham and Daniela Di Fabio. She also worked with BalletLab choreographer Phillip Adams on ‘Nativity’ (2003) for the International Melbourne Arts Festival. 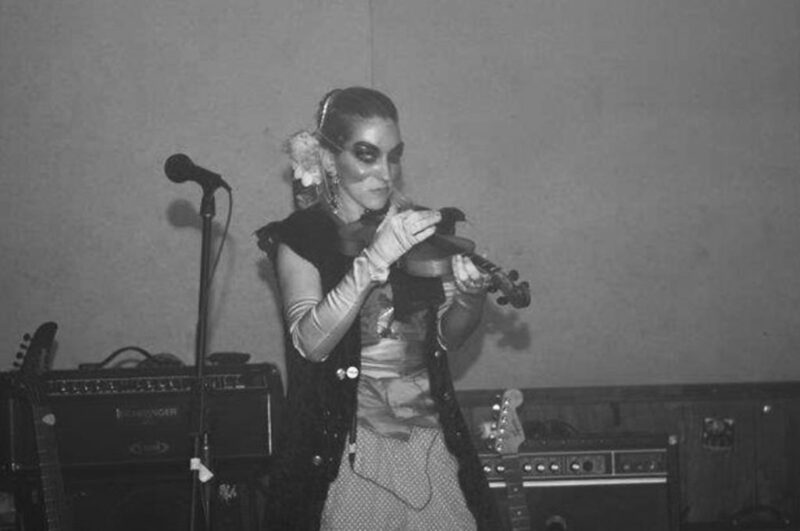 Soncha also performs with an experimental, industrial music project known as Doll Disorganation & Manticle since 2006, at various live music events in Melbourne, has contributed to various CD/online compilations and is currently recording for their first musical release on vinyl.